Princess Elizabeth lived in a castle and had expensive princess clothes. She was going to marry a prince named Ronald. Unfortunately, a dragon smashed her castle, burned all her clothes and carried off Prince Ronald. What was a girl to do? 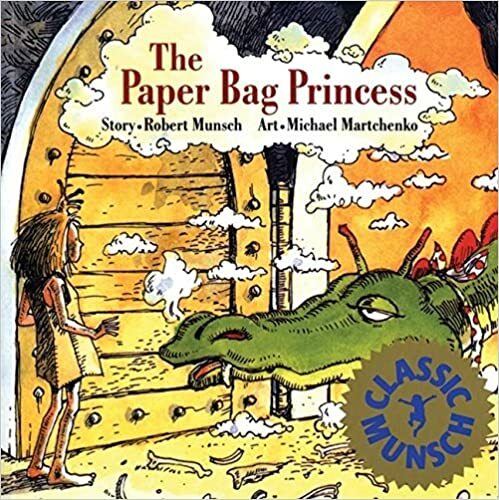 Robert Munsch tells the story of what happened next in his usual zany manner. The book is exciting and Elizabeth shows herself to be resourceful young princess. I especially liked the plot twist at the end. A great book for 4 to 9 year old children (and their parents). This entry was posted in Uncategorized by lhplbookreviews. Bookmark the permalink.